Please click Fee Schedule to the left for information on registration fees. Online Registration is the preferred method of registration. The normal registration period is open through August 13. After that time a $15 late fee will be collected with each registration. Registration will close after August 17. This must be filled out for EVERY player. Please complete the form, have it notarized and bring it with the player to the first session or competitive practice. If you have questions about whether your child is old enough to play or you don't know which age group they should be playing in, refer to this Birth Year Chart. 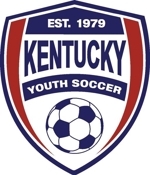 Anyone interested in competitive/select soccer please contact a coach in the programs section under competitive/select links.